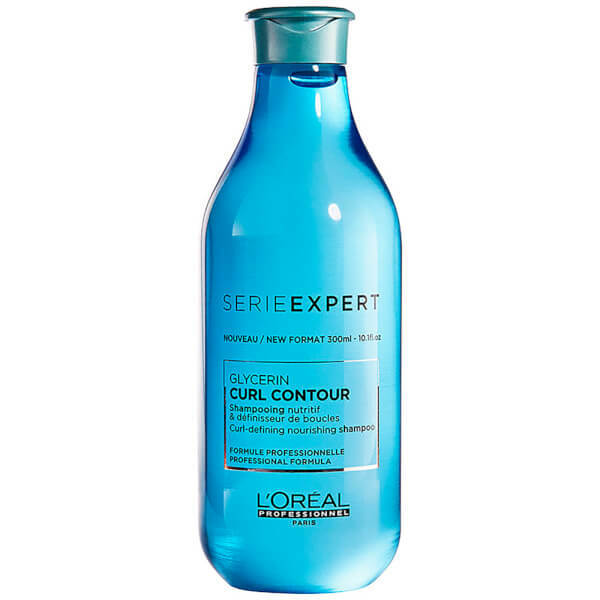 Treat curly and wavy locks to the L'Oréal Professionnel Serie Expert Curl Contour Shampoo; a lightweight formula that works to enhance curl shape and definition. Infused with Glycerin, the luxurious shampoo effectively cleanses hair, whilst delivering long-lasting moisture and hydration for salon-worthy results. Curls are left calm, fresh and bouncy. Can also be used on straight hair to prepare for curling. Wet your hair and distribute shampoo evenly throughout. Massage to create a lather. Rinse thoroughly. Aqua/Water, Sodium Laureth Sulfate, Coco-Betaine, Glycerin, Sodium Chloride, Laureth-5 Carboxylic Acid, Isostearyl Neopentanoate, Cocamide Mipa, Polyquaternium-L0, Ppg-5-Ceteth-20, Amodimethicone, Sodium Benzoate, Peg-55 Propylene Glycol Oleate, Propylene Glycol, Peg-60 Hydrogenated Castor Oil, Salicylic Acid, Hexyl Cinnamal, Linalool, Butylphenyl Methylpropional, Hydroxycitronellal, Geraniol, 2-0leamido-1,3-0ctadecanediol, Vitis Vinifera Seed Oil / Grape Seed Oil, Methyl Cocoate, Benzyl Alcohol, Sodium Cocoate, Sodium Hydroxide, Citric Acid, Parfum / Fragrance. C43350/1.